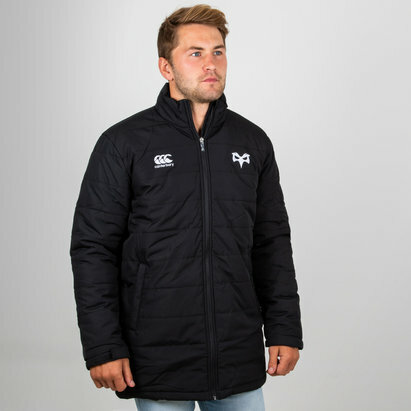 Don't let the weather dampen your support for the Ospreys with this Canterbury Ospreys 2018/19 Players Padded Rugby Gilet in the traditional Black. 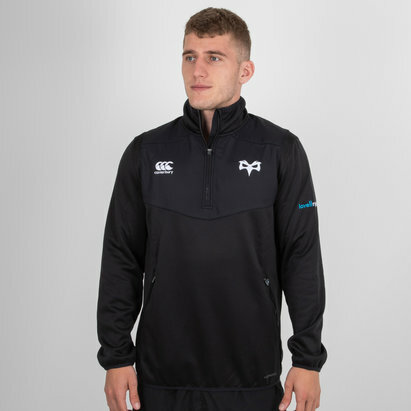 The Ospreys ThermoReg padded gilet offers protection against the elements while retaining a lightweight performance feel. Featuring ThermoReg technology to keep you warm, with a lightly padded woven fabric to the front and back panels, and bonded fleece to the side panels and sleeves. The hem, collar and cuffs are finished with a stretch binding to ensure a secure and comfortable fit, and the dropped back hem eliminates garment rise for additional protection. Zipped pockets keep valuables safe and dry, and the gilet is finished with embroidered logos. 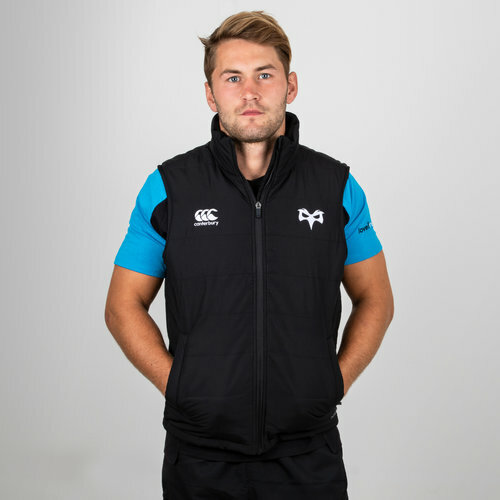 The Ospreys ThermoReg gilet comes on high-performance fabric, for a great look without compromising functionality. This gilet is black. The embroidery CCC logo and Ospreys badge have been embroidered onto the top of the gilet on left and right, respectively. The team's partner, lovellrugby - is embroidered on the back.